The ‘institution of Indian arranged marriage’ is more likely to kill a woman than a road accident, malaria, cancer, thunder, shark attack and war combined. CORE LESSON- Women need to have a SAY in one of the biggest decisions of their life. A say that isn’t an outcome of emotional blackmail or guilt or shame or societal pressures. 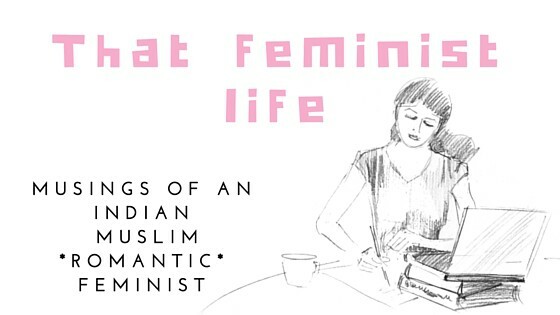 If you are an Indian woman in your late twenties, you might discover that all of a sudden you have become an eye thorn for most of the people around you. From family members to community members, the only question you might hear is ‘why aren’t you married yet?’ This question is also peppered with some pity for you being worthless and worry for your unborn children. I was soooooooo pressured by one anty to hand her my matrimonial bio data, I ultimately made one that you can read on my blog titled Finding Me a Husband. I am aware that men too go through this weird phase of being the object of community and family worry yet the pressure on women is way beyond comparison. The questions that are asked to my parent’s as to when are they marrying me are silencing my existence…like I’m an object to be passed from one home to another without a say. When it comes to marriages in India, the most common notion is that if you marry out of love meaning out of your own choice, you are on your own, sometimes killed or shun in the society. The chaste, moral, traditional, cultural and non-threatening way to marry is a marraige ‘arranged’ by your parents. Traditional Indian culture and religious education lay utmost importance to the respect of parents and teachers in our society. As we grow up, we are taught to be almost blind to our parent’s errors. For an Indian child, his/her parents are next to God; they never err! This is where the problem lies. Respecting humans is a virtue enough; placing them on a pedestal next to God is unnecessary and exaggerating. Because the fact is that they are humans and they make mistakes as much as any other person. Just because they are your parents, you are programmed to be blind to their wrong doings. But this is not about blaming parents, it’s about realizing where their mentality and ideology is coming from. Actually, I think that children being critical of their parents are a necessary element because when a child asks her parent to stop smoking or that he does not want his toys to be bought out ofblack money; this can be extremely helpful. Coming back to the marriage arrangement, don’t blindly believe that your parent’s will choose the best partner out there because their generation was wildly different from ours. I bet my parents don’t even know half the vocabulary I use in my everday language. Not projecting that I’m more cultured or educated; simply stating that the patterns of conversations, the ways we behave, our psychology, our attitudes, everything has wildly changed.Your parent’s may want the best for you according their INTENTIONS, yes, but the outcome may not necessarily be helpful. Read further you will find out why.